That’s what I’m trying to remember these hot summer days. I rarely get thirsty so drinking water is something I have to do intentionally. I’ll get to the end of a day and realize I didn’t drink enough of anything, especially H2O! To help remember, I made a little drink counter for on my fridge. Water Counter on my fridge – made from a plastic wine glass cut in half with marble water counters. 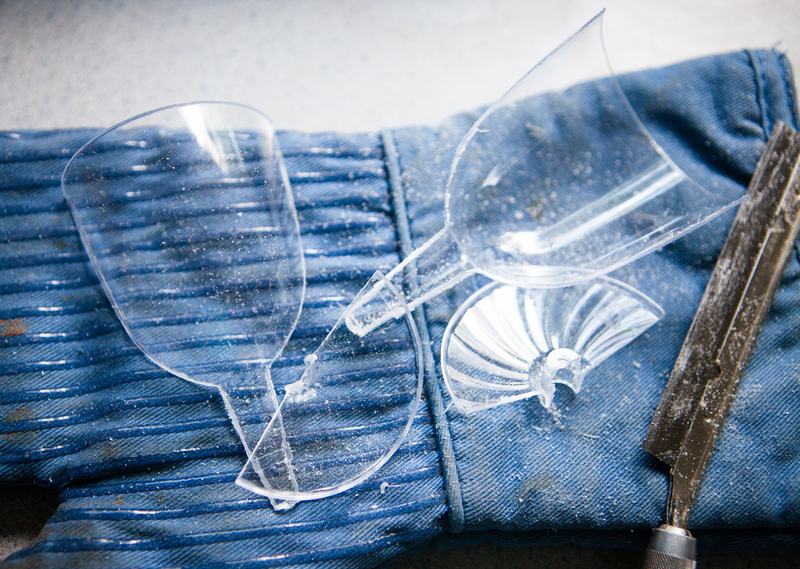 I cut one of these plastic wine glasses in half. I used a craft saw to carefully cut the cup top and base in half. Actually, I wanted a little less than half on my fridge so I cut just a smidge off center. It was easier than I thought using a craft saw. I didn’t rush the process and cut the top of the cup first, then the base to match. Once the top and base were glued together, I used E6000 jewelry glue to attach a strong magnet to the back of the base. The drink counters are half-marbles from the floral department at Michaels. 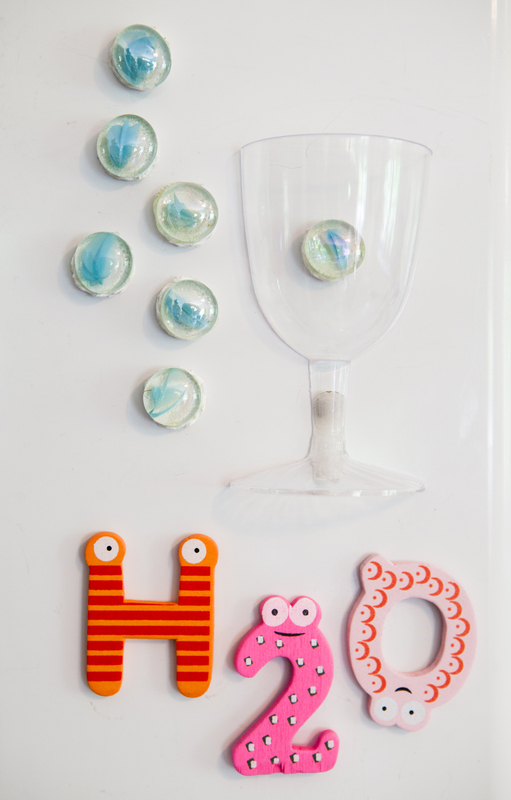 I recycled old magnets from my fridge by painting them white, including painting over rickrack that was glued around each magnet. 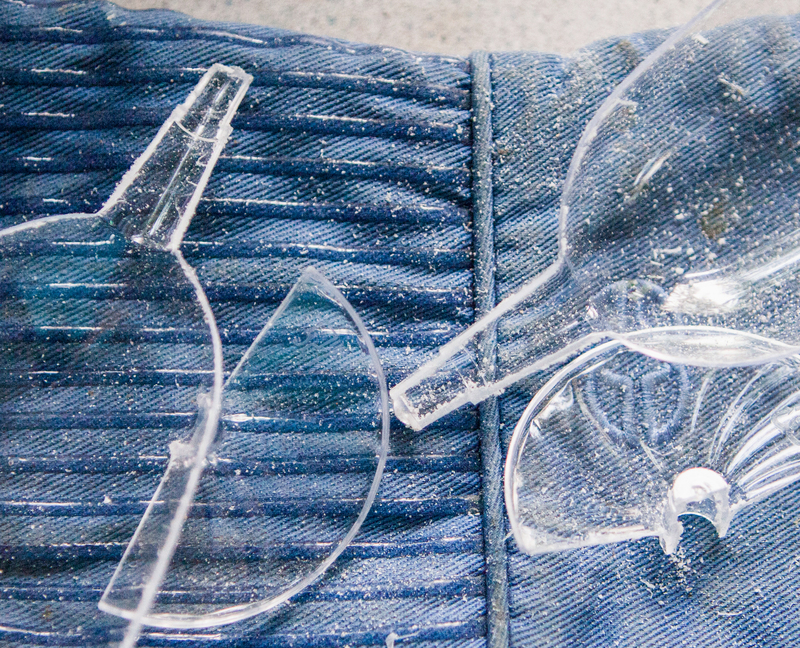 The half-marbles were glued on with E6000 jewelry glue. Half a wine glass on my fridge! It looks really cute with the marble counters in it. This is the first water counter I’ve ever made that actually works. It’s easy to see that I haven’t been drinking enough throughout the day. And the cup looks cute filling up with marbles. 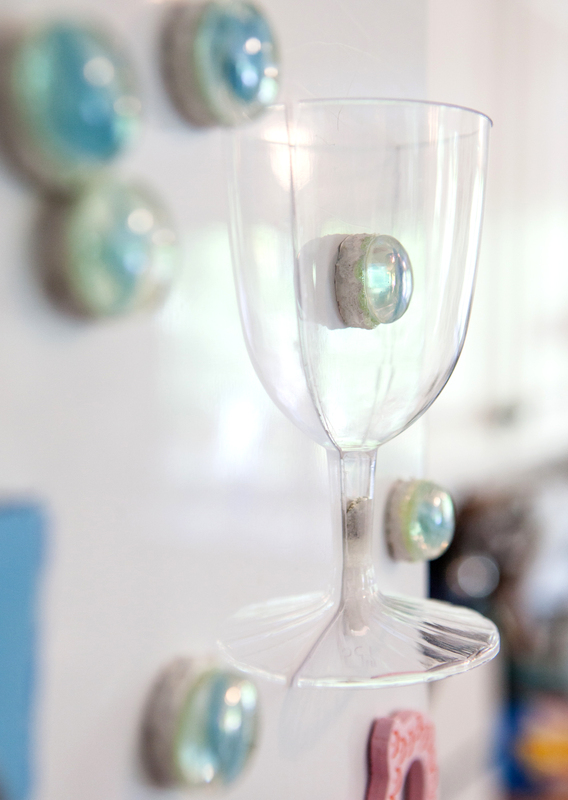 Wine Glass Refrigerator Water Counter – to remind me to drink more water! What??? There is only one water drop in that cup? And I took all the photos and posted to my blog? Time to drink more water!